Freeport-McMoRan Foundation recently awarded the Gila Watershed Partnership in Arizona a $62,000 grant to improve and double the size of the Gila Native Plant Nursery in Safford, Arizona. 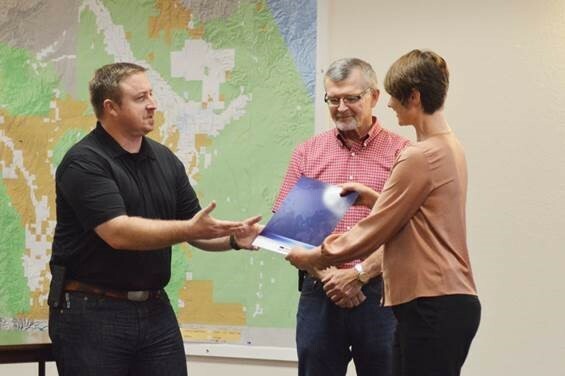 The Gila Watershed Partnership was founded in 1992 to improve the Upper Gila Watershed of Arizona and has earned a number of grants from Freeport-McMoRan in addition to a $200,000 grant from Graham County and $150,000 grant from Greenlee County. To read more about Freeport-McMoRan’s social, economic and environmental efforts, please see the 2017 Working Toward Sustainable Development Report.